In six weeks and on a modest budget, this room went from outdated to fresh and stylish. Andy and Paula Hughes were in their new home only a few months when they undertook the mighty task of updating a kitchen that hadn't changed in four decades. It took the couple six weeks to undo the 1960s design, adding color and light to the small space while working with the existing cabinets and floor plan. "We were very motivated," Paula says. And who could blame them for being in a hurry to get rid of the flat, pine cabinets with barn-door hinges, white laminate counters, and florescent lighting. 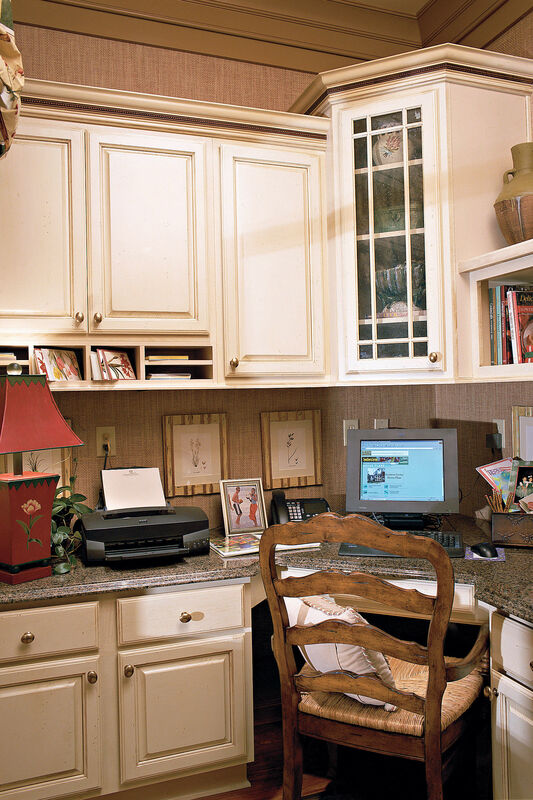 Paula did her research before beginning the project, clipping pages from magazines that showed ideas she wanted to incorporate into the new space and searching for creative ways to stay on budget. Once she and Andy had a basic idea of what they wanted, they called on Andy's parents to help them pull off the speedy makeover and save money on labor costs. Maureen Hughes painted cabinets while Al Hughes routed out cabinet doors and attached the new trim. They also ran errands when needed and performed numerous tasks to get the job done. "We really could not have done it without them," Paula says. Because Paula, Andy, and Andy's parents did most of the work themselves, they were able to create a fresh look for their timeworn kitchen without breaking the bank. The existing pine cabinets were plain but in good condition so Paula and Andy chose to update them with paint and molding. They used the drawers as the base for determining the right width for the molding. They then kept the molding the same size on the cabinet doors. Once he cut the molding, Andy's dad simply nailed it in place. The upper cabinet doors on either side of the sink were cut out and fitted with inexpensive glass panes to provide display space for colorful dishes and glassware. New hardware and hinges also updated the cabinets. The silver finish on the new pulls and handles blends well with the stainless steel appliances and backsplash. The couple knew they wanted something simple for the area behind the sink and stove, but they felt tile might be too busy in combination with the room's other features. They also wanted something that was budget friendly. 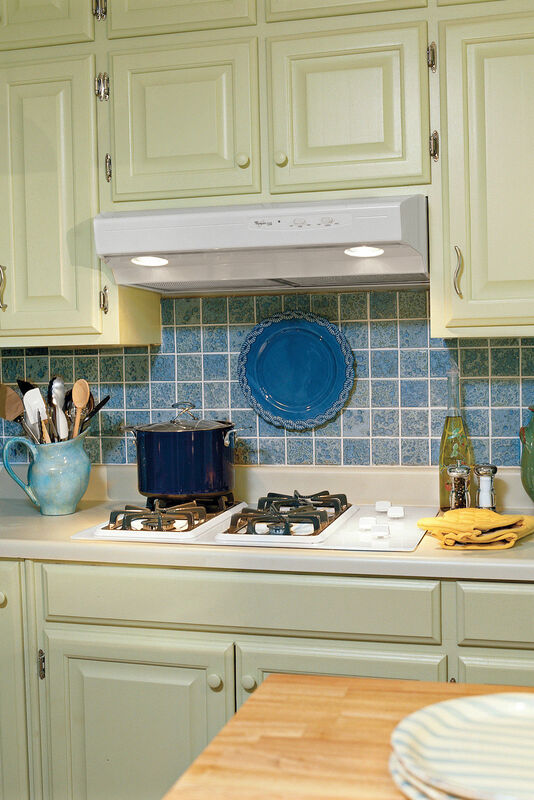 Paula had seen a quilted, stainless steel backsplash in an issue of Southern Living and thought the look offered the right combination of subtlety and style. This led Paula and Andy to a sheet metal shop where they purchased a sheet of stainless steel. They had the metal cut to fit the backsplash area, and then quilted to add texture and interest. They simply glued it into place with construction adhesive. The result is a high-end look for a relatively low price. Initially, Paula wanted granite countertops. She liked the look of stone and its durability. Paula and Andy did their research, though, and weighed the pros and cons of other materials. Ultimately, they chose an engineered stone, such as Silestone, a material made up of 93% natural minerals. It actually is stronger than granite. "I wanted to be able to cut directly on the countertop and put hot pots on it. I like to bake, so I wanted to roll cookies out on it too," Paula says. Silestone also offered a 10-year warranty (if chipped, it will be replaced). Because it's nonporous, it is stain-resistant and stands up well to the wear and tear of kitchen duties. "The fact that it was a little less expensive was a bonus," Paula says. An organized pantry is essential. Use these tips from Mona Williams, senior merchandise director for The Container Store. Store rarely used appliances on top shelves. Reserve the most convenient shelves for items you use every day. Use turntables and tiered shelves to maxmize shelf space. 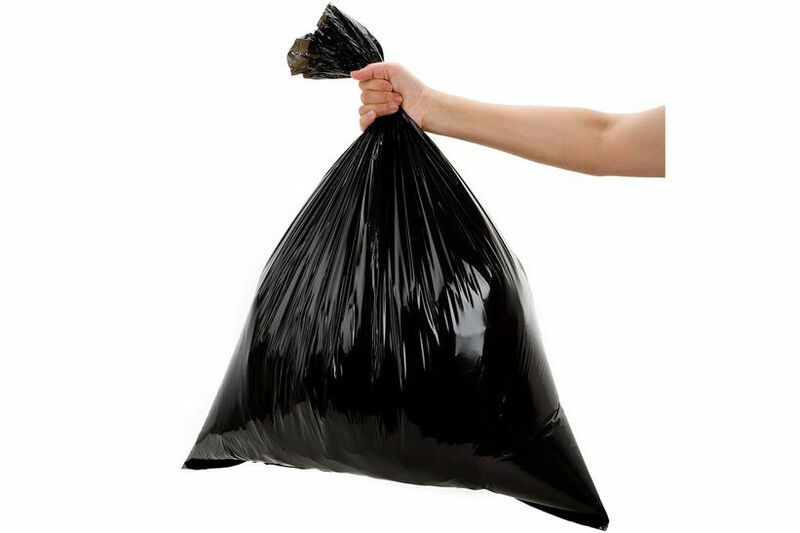 Bundle small items in bins or baskets. Use clear containers to store flour, sugar, or pasta. Canisters that stack work well. Keep a step stool nearby so you can easily access high shelves in the pantry. Color goes a long way to establish the kitchen's sunny mood. A cheerful green on the walls coordinates with shades of yellow and tan used throughout the rest of the room. The upper cabinets, painted a creamy white with yellow undertones, offer a subtle contrast to the warm tan of the bottom cabinets. 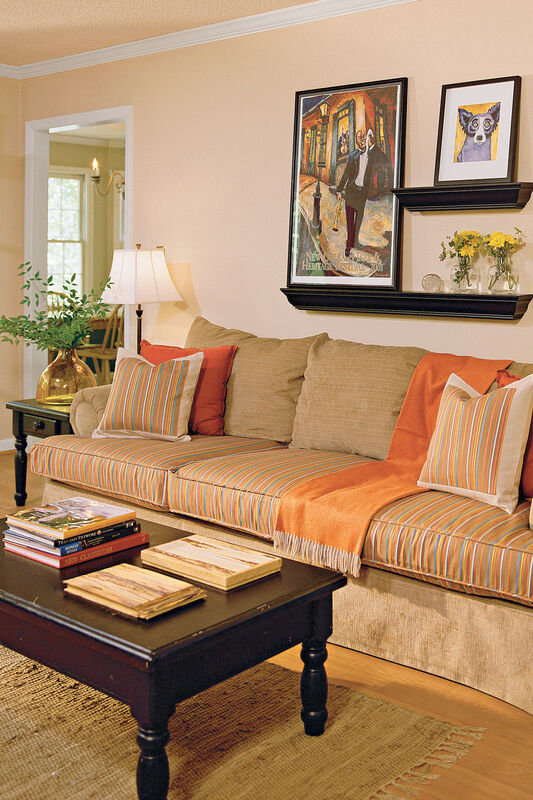 A plaid fabric at the window pulls the room's colors together and softens the window opening. Paula found the simple swag pattern online and asked her mother, Nancy Hunt, to sew it. Its casual look adds the finishing touch to this comfortable kitchen. Can't decide whether to choose gas or electric? The dual fuel range just might be for you. It combines both electric and gas fuels in a single unit, usually gas burners with an electric oven. Gas burners tend to be a popular choice due to their quick response time and visible flame. Paired with an electric oven, which offers more even baking and a better self-cleaning function, you get the best of both worlds.